For many years in my classroom, I did not use a theme in my classroom...I simply decorated with whatever fun, colorful decor I had in my closet. But a few years ago--probably through Pinterest--I discovered that teachers were choosing themes for their classroom, and decided I wanted to try that too. Over the last few years, I've tried several different themes, and now I look forward to choosing a theme and implementing it in my room. 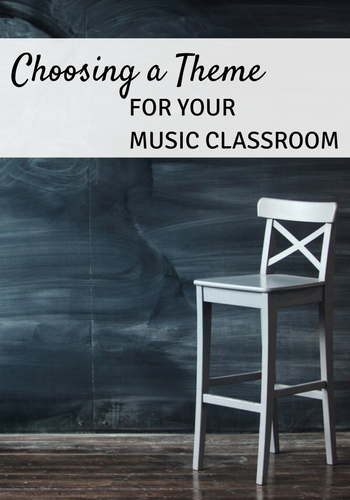 Here are some ideas and strategies for choosing a theme for your music room! 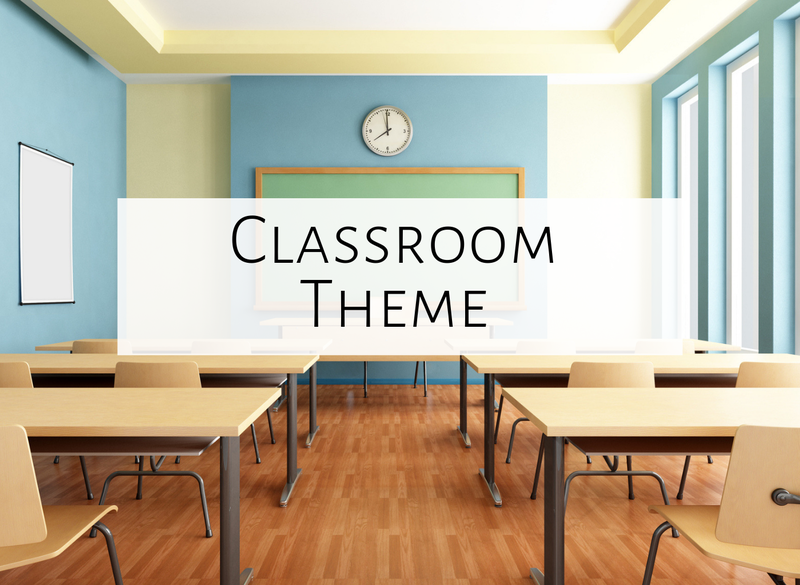 First, why use a theme in your classroom? To me, it's a great way to start the school year on a new foot, with a different theme and different decor. Of course, some of your decor will be the same, but I love being able to give my room a makeover. I spend SO much time in that room during the year, it's nice to shake it up and make things look a bit different! It can also be a great way to tie everything in your room together. 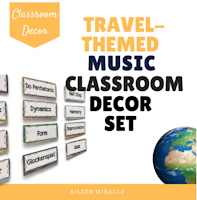 Whether you are "soaring high in music" with a bird theme or traveling to different places in music with a travel theme, I love how it unifies everything! The first thing I like to do when choosing a theme is to figure out what my school's theme will be for the next year. For example, this upcoming year, my school's theme will be "Oh, the places you'll go!" Instead of decorating with Seuss decor, I chose a travel theme to play off the "places" aspect. There have been years that I haven't gone along with the school theme, but I always like to check that first in case there is something I think will work well with it! 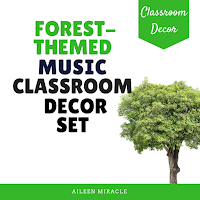 Jodi at the Clutter Free Classroom has done lots of work brainstorming phrases and coming up with ideas for different themes, many of which can be adapted for the music room. Here are a few links, blog posts, and Pinterest boards to help you as you plan! Click here to read Jodi's ideas for a beach theme. And here is a link to ideas to several other themes! Which theme are you thinking of using this upcoming year? 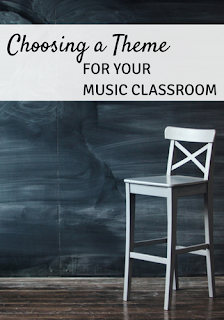 Feel free to comment below, and have fun setting up your music room!